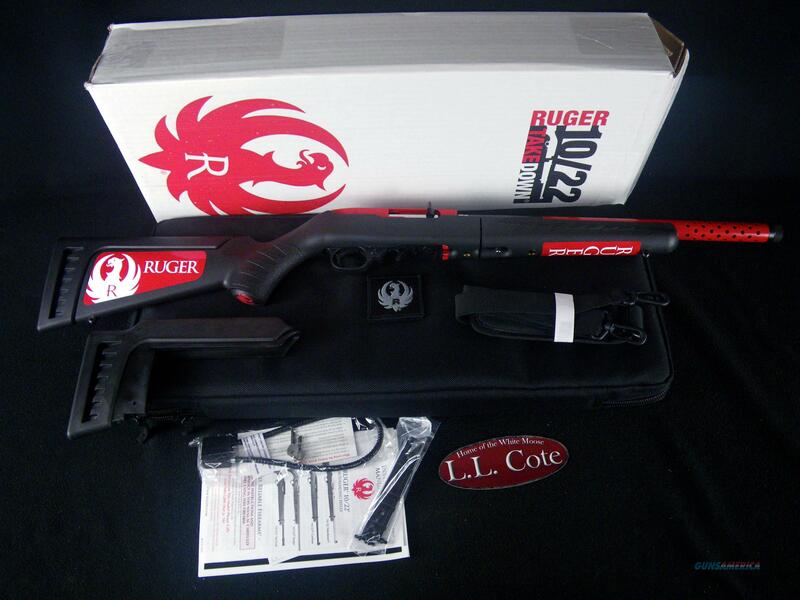 Description: You are bidding on a Ruger 10/22 Takedown Lite in 22lr with a 16.12" barrel. Detachable 10-round rotary magazine features a unique rotor to separate cartridges and provide reliable feeding. Legendary action, a tried and true Ruger design, ensures consistent, reliable performance. Cold hammer-forged barrel tensioned in aluminum alloy barrel sleeve features a 1/2"-28 threaded muzzle and is fitted with a thread cap which can be removed to allow for the use of muzzle accessories. Positive, push-button, cross-bolt manual safety. Combination scope base adapter for both Weaver-style and .22 tip-off scope mounts included. Easy-to-use extended magazine release provides smooth, no-fuss removal of flush-mounted magazine. Heat-stabilized, glass-filled, polymer trigger housing assembly is precision made of high-tech material for improved manufacturing tolerances, impact and abrasion-resistance and an unmatched ability to withstand the elements. Also includes: Convenient carry-case, which provides ample storage room for magazines and accessories. Easy takedown enables quick separation of the barrel from the action for ease of transportation and storage. Takedown is as simple as locking the bolt back and verifying that the rifle is unloaded, pushing a recessed lever, twisting the subassemblies and pulling them apart. Compatible with the Silent-SR® sound suppressor. Features the Ruger® Modular Stock System with a low comb, standard length of pull (ships with an additional high comb, standard length of pull stock module). Displayed images are stock photos. Any questions please feel free to ask (our phone number is in the additional information tab above).